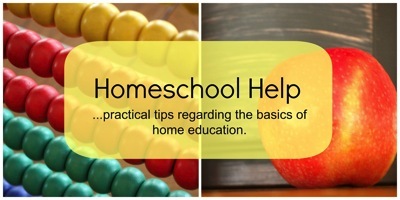 This week’s Homeschool Help topic has been a marvellous excuse to delve through parts of our bookshelves I don’t often visit these days. Many of our picture books have been handed down to my young nephews, so those that remain are the special few that I couldn’t bear to part with. I have mixed feelings about Charlie and Lola. Slightly-spoilt, childish Lola is not a good role model. But her conversations with saintly big brother Charlie do make me giggle. 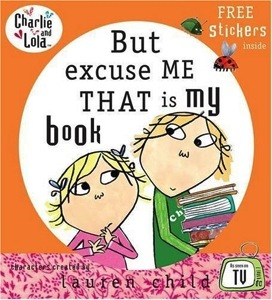 We love all the Charlie and Lola books, but my favourite is probably But Excuse Me That Is My Book (or “Beetles, bugs and butterflies” as it is known in our house, after Lola’s favourite library book). If you haven’t seen it, watch the corresponding TV episode to get the cute voices and then have fun reading But Excuse Me that Is My Book aloud to your children. It’s one you won’t mind reading over and over. 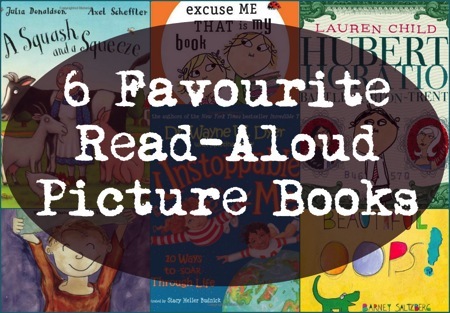 No list of my favourite read-aloud picture books would be complete without a mention of Julia Donaldson (author of The Gruffalo). 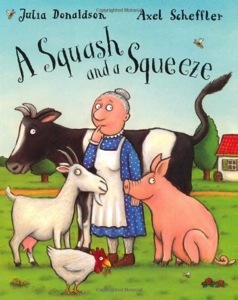 A Squash and a Squeeze earns its place here because the title has established itself so firmly in my vocabulary that I use the phrase almost daily. Back in September I wanted to have a breakthrough in managing our busy schedule. After a long summer break, I was not looking forward to going back to chauffeuring my children to activities several days and evenings a week. Then … my husband broke his right ankle and my driving load doubled! One of the consequences of his injury is that we’ve dropped a few activities (a good thing). Another is that when my darling husband is able to help out again, I will really appreciate it! “It’ll be like a squash and a squeeze!” I find myself cheerfully saying (probably far oftener than my family would care to hear). 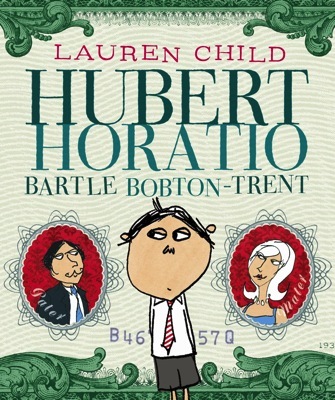 I know I’ve already included one Lauren Child book, but what with the Clarice Bean series, Who’s Afraid of the Big Bad Book and Hubert Horatio Bartle Bobton-Trent, I just couldn’t limit myself to one. Hubert Horatio is the heart-warming tale of how Hubert’s delightfully random parents lose their fortune and their mansion home, but wind up happier than ever living in a tiny apartment where there’s always someone available for a game of Kerplunk. Arnie and His School Tools is a wonderful book for anyone affected by Sensory Processing Disorder whether personally, or as a family member, friend, teacher or classmate. 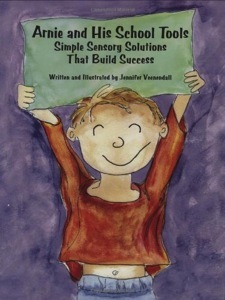 I ordered the book when I first began to suspect that J(8) had Sensory Processing Disorder. After I read it to him, I asked J(8) if Arnie reminded him of anyone. “Me!” he replied without hesitation. Arnie’s “fast motor” used to get him into trouble, but now he uses special tools that help him learn. In this beautifully illustrated story Arnie uses fidgets, heavy-work, weighted-blankets, ear plugs and other tools to help him focus. The story is helpful without being in any way patronising. In fact, re-reading it just now has given me lots of fresh inspiration for ways to help J(8) concentrate on learning. Over the years I’ve bought my perfectionist-tending children a number of books about the value of making mistakes (another favourite is Mistakes That Worked). 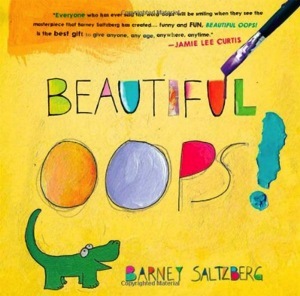 The artistic Beautiful Oops appeals to C(9) in particular. Each new page transforms a seeming mistake or accident on the previous page into something beautiful. 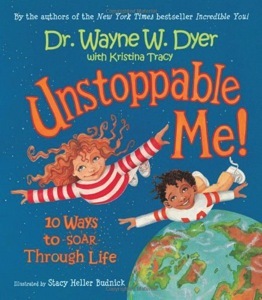 I’ve given Unstoppable Me as a gift to all my Godchildren and young relations, safe in the knowledge that the messages it contains are pure upliftment and inspiration. Wayne Dyer’s Incredible You: 10 Ways to Let Your Greatness Shine Through is wonderful too. Love the book “Unstoppable Me” – it has such a wonderful message that I always hope will be internalized. It’s beautiful, isn’t it? My strategy is to surround my kids with as many of these kind of messages as possible, and as you say hopefully something will make its way in! That reminds me, “Wonder” still hasn’t made it’s way to the top of our car audiobook list. I think I might start listening to it on my own … I’m curious! I’ve not heard of most of these, so it’s been great to get to know so many wonderful picture books. I agree with Marie that the last book on your list looks like such a wonderful book for young children. I might just slip it into Tiger’s bookshelf for him to read! It was more fun than I’d anticipated putting the list together – I really enjoyed browsing some old favourites. I think I’ll gather the children and read a few together this week. Perfect for a cosy winter afternoon. 🙂 The Wayne Dyer books are lovely. C(9) reads them often. Thank you! You always inspire me. Thank you for your kind comment, Marla! I hadn’t heard of many of these. My little ones make do with all the books the younger ones read, so I think I’m a bit out of touch with any of the newer books. I might just have to go shopping…. thanks we’re going to the library today! Wow you have a lot of book’s I haven’t seen before I’ll have to check them out! Thanks for sharing. I am reading your posts in reverse order and so have just discovered another great book post!! I don’t think anyone gets too old for picture books. We are still collecting them even though Gemma-Rose is 9 (almost 10!) We love Alison Lester’s books. She’s Australian but her books are freely available. The artwork is delightful. Shaun Tan’s books are very clever and appeal to older kids. He’s my husband Andy’s favourite picture book author. I like Quentin Blake, especially the Mrs Armitage books. Then there’s Tomie dePaola’s books. (Some I like better than others, but they all have wonderful illustrations.) Oh so many wonderful picture books! Again, I’d better stop before I get carried away! Thank you again for more fantastic ideas. I’ve just ordered “The Magic Beach”, it looks wonderful. Shaun Tan’s work looks very original, definitely worth a look. Oh and I’ve just looked up Mrs Armitage and ordered a copy of The Legend of the Poinsettia (which I love here at Christmas). Lots of ideas for us and for gifts – thank you, Sue! As strange as it caan be it was when I had study everything book I had. you and Jennifer Bernard. I rerad the book in 2 hours a I was in boo heaven with you and Jennifer Bernard. you a shout out from Atascocita Tx! Just wanted to tell you keep up the excellent work!